Cell phones have become an integral part of our life and no wonder they absorb all latest technologies. For example, the Bluetooth technology allows using mobile connection more naturally. Wireless connection is the most important advantage of Bluetooth headsets. This is true freedom, true convenience. One of the Bluetooth devices released this summer is a headset from X-Micro. Its slogan - Plug & Fly - totally corresponds to its appearance and specs. The headset works in the standard range of 2.4 - 2.48 GHz at the distance up to 10 m in open space (Bluetooth Class II). The X-Micro looks attractive. It has a leg with a microphone (it makes it similar to Motorola's headset) which can be folded up without taking off the headset. 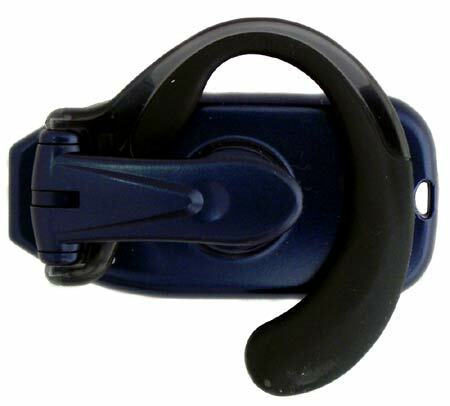 Also it has an adjustable earhook which reliably hooks to your ear. The headset is very light (26 g, 92x50x26 mm) and won't make you feel discomfortable. It can be adjusted for either the right or the left ear. On the picture you can see how to modify it. The headset also comes with a special neck belt. 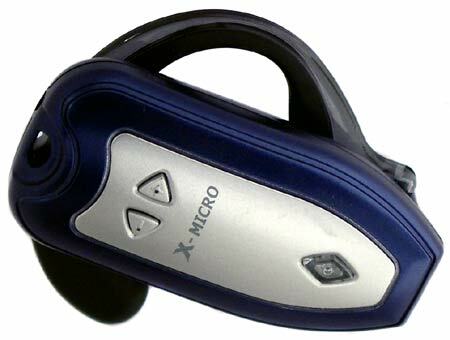 It can be quickly unclipped from the X-Micro, for example, in case of an incoming call. But I don't think one would like to use it this way. How can one use the Bluetooth headset? 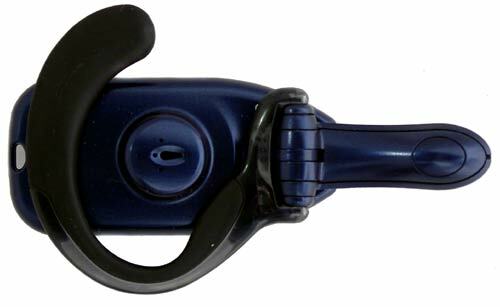 The most popular way is to use it as a handsfree device for compatible mobile phones. The phone can be put in a pocket, a bag, on a table etc. And you can easily accept and make calls like with a standard wired device. The X-Micro can be also used with a PC in applications supporting voice communication (for example, Net Meeting). Besides, people wearing such devices look very stylish. The headset is compatible with almost all phones supporting this wireless technology, including Ericsson R520/T39/T68, Sony Ericsson T68i/,P800, Nokia 6310/6310i/8910/8910i and Siemens S55. Actually, it can work with all phones as well as other devices like desktop or pocket PCs that support the Bluetooth Headset profile. 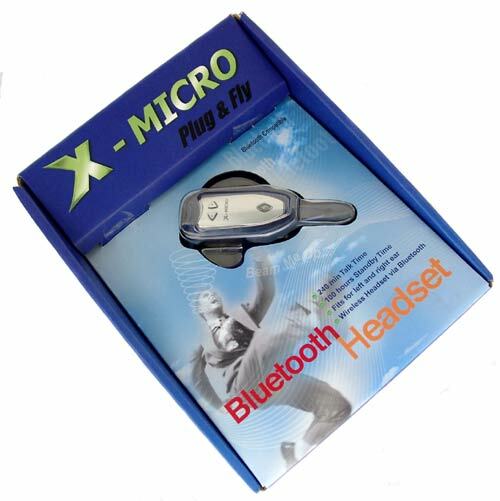 The X-Micro has three buttons: two control volume and the third one, Power, turns on/off the headset (for this purpose you must press and keep it for 2-3 sec), the LED turns red in this case. In the standby mode the LED blinks blue every several seconds which means that the headset is ready for utilization with the last connected device. To connect it to a device press and keep the Power button for 5 sec. The LED will blink red and blue in turn, and then you can start searching new devices on your phone or PC. If a device requires a PIN code it will be 0000 by default. The Power button is also used to answer a call, cancel it or activate voice dialling. We tried it with the Siemens S55, Nokia 6310i and Nokia 8910i and noticed no serious problems. However, voice dialling didn't work with the German device, but the documentation warn about it. All the functions are accompanied with ring tones played in the headphone - this is very convenient because you can't see the LED colors. There is one more additional function assigned for the volume buttons - by pressing and keeping any of them for several seconds you can mute the headset. When this function is enabled, the phones give a signal every 10 seconds to remind you that the microphone is locked. The headset works with a cell phone like any other similar devices. Let's have a look at how it works with PCs. After pairing the headset and PC you can use all features integrated into this device. It's pleasant that the headset comes with an instruction. In particular, it describes how to use the headset as an audio source in the Windows. You just need a BlueTooth adapter supporting the audio profile for the Bluetooth, then pair the devices and change the audio play/record device or the headset in the control panel. 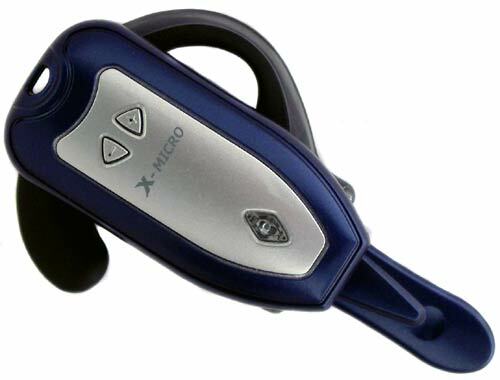 It excellently worked in the Fujitsu-Siemens Pocket LOOX 600 and Ericsson HBH-20 Bluetooth headset: we listened to the music played by the Windows Media Player, and sounds caught by the headset's microphone were recorded into the PDA memory. The X-Micro adds no new functions, but it's very important that they all are now documentary. Taking into account that Bluetooth headsets are not a rarity these days, you can easily record talks, not confusing others with a blinking PDA, or listen to prerecorded hints while giving a speech. Finally you can speak to your old friend through the MSN Messenger. The Bluetooth headset provides the speed up to 64 Kbit/s. The playback quality is pretty good, both for a phone talk and music playback. Certainly, it's much worse compared to CD players, but the headset is designed primarily for voice applications. The work range proved to be 10 m specified, but after 5-7 m the sound quality gets worse. If you leave your phone in your car, you can't move away farther than 2-3 m.
The Bluetooth X-Micro headset can be easily combined with any device supporting the Bluetooth 1.1. The headset can be optionally bundled with a car charger, an elegant leather case and a Bluetooth-USB trinket (that binds the headset and PC). The headset integrates an internal rechargeable battery. The full recharge time is about two hours. The battery life is over five (!!!) days (at 20-25 minutes of talking a day without turning it off). This is a very good score taking into account the headset dimensions. When the battery almost runs out of charge (5 minutes in talk mode left), the headset gives an unpleasant signal every 15 seconds irrespective of whether you are talking or not. The charger plugs into a small connector on top. When it's charging (it takes 1.5-2 hours) the LED on the Power button turns on red. The X-Micro is an excellent Bluetooth headset. It's compact, light, possesses good sound characteristics and a long battery life. It can be easily modified. The handsfree realization will definitely please you.